What do you do if your biggest competitor is about to abandon the market in 11 days and there's no real replacement other than you? Well, if you're Feedly you update your blog with a little gloating. 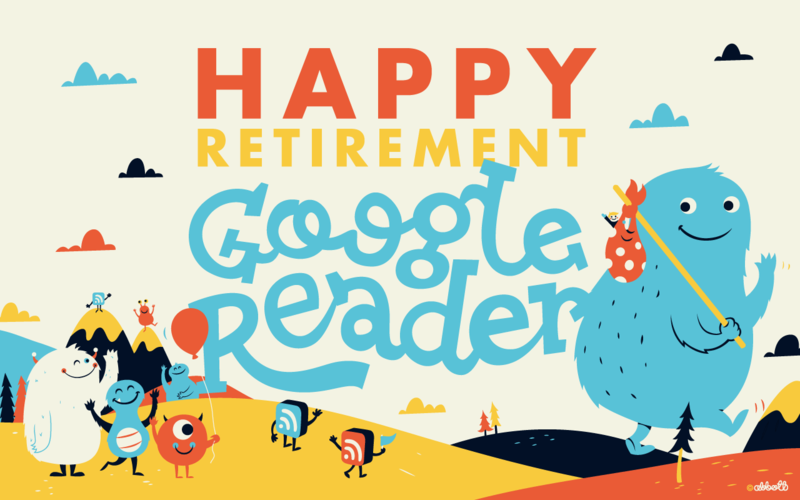 Feedly is pleased to remind us today they they are the heir apparent to Google Reader. Ostensibly today's news is an announcement that Feedly's servers are now completely independent of Google, but in all honesty that was revealed last week with the update of the Feedly app for iPad and iPhone. The news Feedly would most like you to read about today is that they had 12 million registered users as of the end of May. Their userbase is now literally 3 times as large as it was the day before Google announced the Readerpocalypse. Feedly is now serving up over 25 million feeds and crunching through billions of articles and blog posts published everyday. Those 25 million feeds are being read in a wide variety of apps, including a new browser-based reading app. Yes, Feedly has done away with the existing web browser plugins that users have come to dislike. This new Feedly Cloud is served up as a web page any time a registered user visits the Feedly website. While this might appear to be a minor change in reality the new cloud app is going to result in a significant improvement in service. Now users won't have to download and install plugins to get the latest updates; they'll simply have to refresh the browser window. And that goes for any web browser, not just the ones which support the plugins. Adding IFTTT in the first group of partners was a particularly smart move; as you probably know that is a content redistribution service which lets users set up automated conversion functions which can output content to a wide variety of places. That in effect makes it a multiplier of possible output options, not just a single app developer partner. It was just over 2 months ago that Google broke my heart with the EOL of Google Reader, and Feedly has made great strides in adapting to support news junkies that have fled Google Reader, adding more servers to support the heavier load, and expanding their focus to include competing with Flipboard and other magazine style reading apps. In terms of sheer numbers, Feedly is by far the largest of the 9 competing Google Reader alternatives. and still no news from Netnewswire sigh….